The central province of Binh Dinh introduced its potential and advantages to businesses of the Republic of Korea (RoK) on May 28 with a view to attracting investment from this Northeast Asian nation. 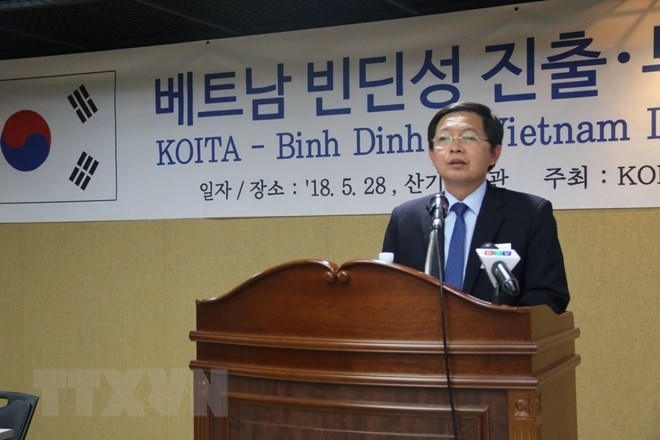 The conference to promote the RoK’s investment in Binh Dinh was held at the headquarters of the Korea Industrial Technology Association in Seoul, drawing representatives of about 100 Korean businesses. Chairman of the Binh Dinh People’s Committee Ho Quoc Dung said the potential and advantages of his province match RoK investors’ investment and business demand. It also shares cultural similarities with the RoK. Therefore, Binh Dinh has chosen the RoK, a dynamic and developed economy, to be the next step in its investment attraction plan. He called on RoK firms to invest in the fields Binh Dinh has demand for such as electronic component production, seaport and industrial park infrastructure, energy, tourism, and fisheries. 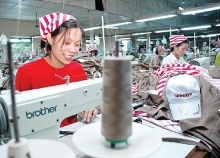 He affirmed that all economic sectors are treated equally, and every enterprise is provided with favorable conditions in accessing information about policies, mechanisms, planning, and investment and business opportunities in Binh Dinh, a Vietnamese central coastal province full of potential and hospitality. On this occasion, the official also asked the participants to help his province popularise its potential and advantages to their friends, colleagues and other RoK investors. At the conference, Vietnamese Ambassador to the RoK Nguyen Vu Tu said the Vietnam-RoK strategic cooperative partnership is flourishing in all spheres. The RoK is currently the biggest investor in Vietnam with total investment capital of more than US$58 billion through last April. Bilateral trade surpassed US$60 billion in 2017, making the RoK the second largest trade partner of Vietnam and Vietnam the fourth largest trade partner of the Northeast Asian nation. He noted that the fine political relationship and close people-to-people ties are the factors helping to ensure bilateral economic cooperation. In 2017, Vietnam welcomed 2.5 million RoK tourists while the number of Vietnamese visitors to the RoK grew by over 70 percent. Each country has more than 150,000 citizens living in the other nation at present, Tu added.